A soft stocking cap in four sizes (XS/S/M/L) in a houndstooth textured fabric with buttoned brim. 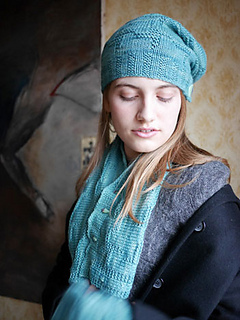 Feminine in a pastel colorway, this cap easily transitions to a menswear favorite when knit in a neutral or undyed shade. 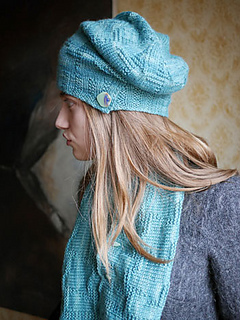 Choosing a luster wool yarn or a blend with some silk will enhance the hat’s subtle texture. 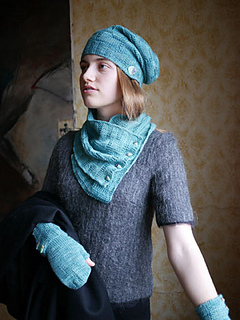 This project is a relaxing knit, perfect for a beginner—or spectator knitting for the more experienced—that produces a sophisticated finished look.